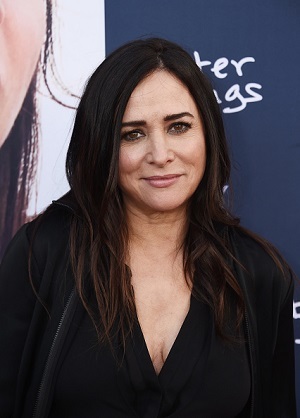 Pamela Adlon on Acting in Her Teens, Parenting, and Rebuilding Her TV Show "Better Things"
Pamela Adlon is the creator and star of FX's "Better Things." On the series, Pamela plays Sam, a single mom and working actor living in Los Angeles. Sam isn't starving, but she isn't super famous either. She dates, but it doesn't consume her life. It's an honest, funny show that talks about parenting in a very real way. Pamela's acting career started in her early teens with a juicy role as a Pink Lady in the sequel to the hit musical "Grease," but in large part, she's established herself in the industry as a voice actor. She's got dozens of credits in animated TV shows like "Rugrats" and "Bobby's World." She was the voice of Bobby Hill on the hit series "King Of the Hill" - one of her best ever roles. In the last few years, Pamela has been appearing in front of the camera more. She had roles on "Californication" and "Louie." She also wrote the first two seasons of "Better Things" with Louis C.K. As you probably heard, late last year, Louis C.K. was accused of sexual misconduct by several women- allegations he eventually admitted were true. C.K. has since been removed from "Better Things." Before Pamela came on our show, she told us she didn't want to say anything else about Louis CK, but she did get candid with us about what it was like to have to carry on with the show after his departure. "Better Things" wrapped up its second season late last year. Look for the third season to premiere later in 2018. Click here to listen to Pamela Adlon's interview on YouTube. James Acaster is a standup comic from London. He's appeared on a bunch of TV shows over there - "Mock the Week" and "Sounds Random" to name a few. Over here in the States, he just performed on "The Late, Late Show with James Corden." James's comic style is observational, kind of absurd, but also really prolific, too. A couple months back he put out his first-ever Netflix Special. 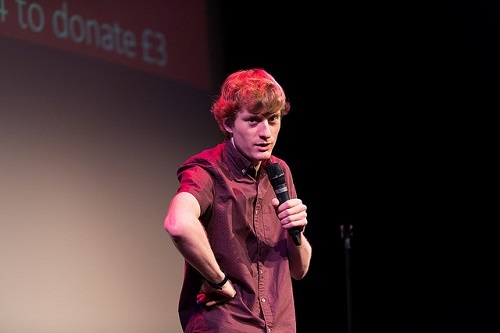 It's called "James Acaster: Repertoire" and it's four, hour-long live specials and it's really, really funny. Click here to listen to James Acaster's interview on YouTube.